The country of Romania has changed a lot in the last century. Romania became a nation in 1859- when Wallachia and Moldavia united to become the Princedom of Romania. This new nation was a merging of the Principalities of Wallachia and Moldavia, not of Transylvania, which was a part of Hungary, and the Prince (Domitar) of the newly formed country was Alexander Cuza. He was deposed and the next person, Carol would become Prince of Romania and subsequently King of Romania. His nephew Ferdinand would become king after him, and it was during his reign Romania as people know it became a reality. 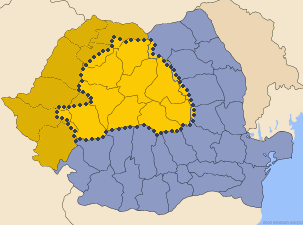 It wasn't until 1919 that Transylvania became a part of what was known as Greater Romania. It took 60 years for this event to take place, and it was only due to the First World War this happened. After 1919, there was another turning point for many people who lived in Transylvania (including the Saxons and Hungarians). After World War I, there was a push for more rights for the Romanians who lived in Transylvania and also for the freedom of the Romanian Orthodox Church. There were other disputes and arguments, but for the most part, these disagreements remained peaceful. Although Transylvania as a whole has not been part of any other country since that time, Northern Transylvania became a part of Hungary between 1940-1945, as a part of the Vienna Awards. Transylvania and Romania have, over the years, built a good economy which has helped much of the rest of Romania grow. One of the main sources of income is tourism based on Dracula and Bran Castle. The tourism industry accounts for much of the GDP coming from Transylvania, although natural resources also play an important role.